When welding stainless steel, titanium and other corrosion-resistant materials, creating a perfect weld environment is of the utmost importance, because the desired corrosion resistance depends on it. During welding, the heated weld seam is exposed to air and oxidises if it is not protected. This oxidation must either be prevented or treated later. Successful welding depends in part on a combination of proper purging equipment and techniques. TIG (Tungsten Inert Gas) welding, is an arc welding process that uses a non-consumable tungsten electrode to produce the weld. The weld area is protected from atmospheric contamination by a shielding gas (usually an inert gas such as argon), and a filler metal is normally used, though some welds, known as autogenous welds, do not require it. A constant-current welding power supply produces energy which is conducted across the arc through a column of highly ionized gas and metal vapours known as a plasma. TIG welding is most commonly used to weld thin sections of stainless steel and non-ferrous metals such as aluminium, magnesium and copper alloys. The process grants the operator greater control over the weld than competing processes such as shielded metal arc welding and gas metal arc welding, allowing for stronger, higher quality welds. 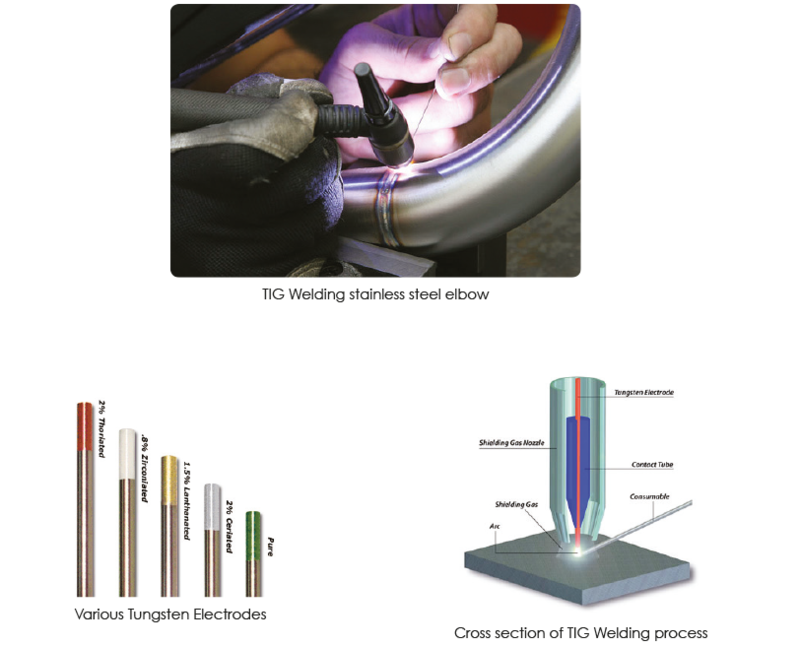 For consistent, high quality welding, the tip of the tungsten electrodes must be ground in the correct way, to allow a stable arc to form to create an even penetration weld root.